As chairman of The Re:imagine Group, Peter shapes strategies and marketing for a world of empowered and connected audiences and customers. He's worked with executive teams at Best Buy, Hertz, Sony, Unilever, Thomson Reuters, IBM, Verizon, GE, Estee Lauder, Telefonica and many others on digital and growth strategies. Peter also served as Chairman of Technorati, the pioneering social media search engine and ad network with an audience of over 108 million unique visitors a month on over 400 professionally run sites with over a billion monthly page views. Peter is Chairman and co-founder of San Francisco’s Grey Area Foundation for the Arts, where he’s led initiatives that explore the boundaries and implications of the city as network. These includes the forthcoming 2012 Urban Prototyping Festival in Singapore with SingTel and the Singapore Economic Development Board; Summer of Smart2011 with the SF Department of Technology, and Code For America; the Great Urban Hackathon with the Knight Foundation and Hacks and Hackers, and the exhibit “SENSEable Cities: Exploring Urban Futures,” created with MIT. Peter is a board member of ActiveVideo Networks and serves on the advisory boards of Ideeli and GlamMedia. He is a Trustee of The Computer History Museum and a Henry Crown Fellow of the Aspen Institute. Since 2009 Hirshberg's been an advisor of the MIT SENSEable Cities Lab and serves as a Senior Fellow at the USC Annenberg Center on Communication Leadership and Policy. He also serves on Telefonica’s global digital advisory board. Peter was founder and CEO if Elemental Software (sold to Macromedia in 1999) and served as president and CEO of Gloss.com, the online prestige beauty retailer co-owned by Estee Lauder Companies, Chanel and Clarins. During a nine year tenure at Apple Computer, Hirshberg headed Enterprise Marketing, where he grew Apple's large business and government revenue to $1billion annually and helped lead the company’s entry into the online service arena. Earlier, he led Apple’s efforts in on-line banking and financial services. He developed Apple’s early partnerships with Chase, Citibank, Manufactures Hanover and Chemical Bank helping to introduce and market some of the first ever home banking offerings. Peter is a frequent technology and media industry speaker, having presented at TED, the World Economic Forum, DLD, EG the Entertainment Gathering, the 140 Character Conference, Agenda, The Aspen Ideas Festival, TIEcon, CEBIT, WEB 2.0 Summit, and many other events. 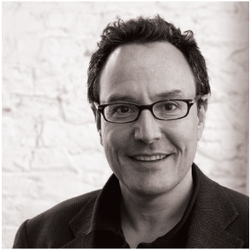 Peter Hirshberg earned his bachelor's degree at Dartmouth College and his MBA at Wharton.